The Open Airplane Network was created to make aircraft rental easier, connecting more than 5,000 pilots in one, easy-to-use system. Open Airplane makes aircraft rental easier for pilots searching for aircraft and more profitable for pilots looking to rent theirs. That is what we like to call a win-win. Aircraft rental has never been so easy! Open Airplane makes it easy to find, book, fly, and pay for aircraft rental online or with a mobile device. Now pilots everywhere can rent aircraft without the hassle and expense of a local checkout. Aviation Insurance Resources (AIR) and Starr Aviation have been steadfast supporters of Open Airplane since its creation, assisting Open Airplane on the insurance side of their program. 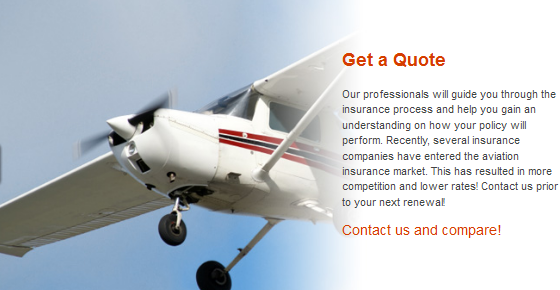 AIR works with Starr aviation on renters insurance and commercial insurance. We are premier partners with Starr Aviation and have been able to create insurance options for those using the Open Airplane network, making insurance coverage readily available and competitive. Because of this unique partnership, our two companies are the most familiar with Open Airplane requirements in the aviation insurance market. To find out more about the Open Airplane Network and Aviation Insurance, please contact Aviation Insurance Resources by calling 877-247-7767 or visit AIR-PROS.com today to receive your free Aircraft insurance quote!